There are handful of players that I would give almost anything to see compete on the ball field. 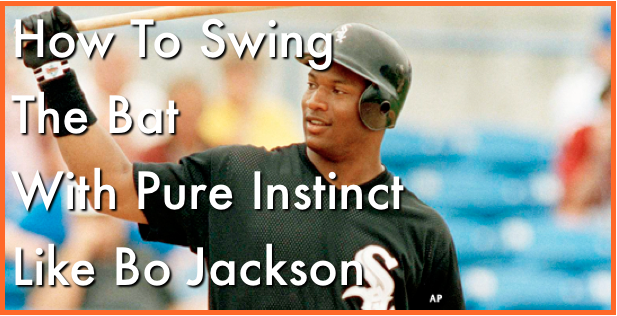 Has there been anyone who demonstrated more power, explosion and natural athletic ability than Bo Jackson? I can’t think of one ballplayer. The irony of it all was that his career was cut extremely short by an injury that was a result of his incredible power. A freak accident involving his hip flexor. Talk about a fallen hero. With that being said, I was contacted by an Art of Baseball fan ( Jeremy) who wanted to see a “How to hit a baseball” video with Bo Jackson. Who is one player, dead or alive that you’d love to watch play? Want to learn how thousands of young hitters are mastering the correct mechanics? How about doubling the productivity of hitting drills and batting practice sessions? Learn more about the Insider Bat and how it can help you to do just that. Click Here to Order the Insider Bat & Use code : MLB4 at checkout for FREE shipping.